Background: This mobility funding has the goal of establishing or nurturing research, educational and/or development related collaborations between the United Kingdom (UK) and countries where astronomy research is not well established. Who can apply? Scientists, engineers or educators either based in the UK, or who will travel to the UK. The visit should be preceded with detailed communication with a well established contact person in the destination country. This contact could be via a Regional Node of the OAD, or a personal contact. In either case the proposed visit should have a strategic rationale. The application process will be an iterative one, in which the OAD and the Regional Node (where applicable) will provide strategic guidance. Potential applicants should therefore contact the OAD early in the process (at least 8 weeks before proposed travel). A plan for the visit should be drawn up and submitted in consultation with the OAD, bearing in mind that the bulk of the preparatory work should be done by the applicant. The online application form contains details required for the plan. The plan should include discussion of options for continued collaboration after the RAS-OAD supported visit. For a visitor to the UK, a clear programme of wider participation in research, student supervision and public engagement should be presented. The duration of the visit should be a minimum of one week, but longer visits will be encouraged. Multiple visits to the same country will also be allowed, provided an application is made and approved for each visit. The cost of the visit will be shared by the RAS-OAD grant and the host institution. The grant will be provided primarily to cover the expenses for the visitor to travel to and from the host institution for the visit. The host institution will be required to cover local expenses and arrange accommodation for the visitor. In some special cases, where motivated, the grant may provide limited additional funds to supplement the provisions of the host institution. The maximum RAS-OAD grant contribution will generally be £1000. Additional support leveraged from other sources (agencies, foundations, etc) will also be acceptable and will be considered favourably in reviewing the applications. After the visit, the visitor and the host will be required to provide a report describing the activities of the visit, the impact on the research collaboration or project in general, specific outcomes, as well as recommendations regarding further actions. Selection will be based on the scientific and educational merits of the application and on the strategic impact of the visit to both the visitor and host. 1. Sarah Eve Roberts (Cardiff University, UK) will present a training workshop on AstroLab, an enquiry-based lab for science undergraduates, at the University of Zululand (hosted by Thulani Jili) in June 2018. This will involve demonstrations to physics students and lecturers from across sub-Saharan African in using robotic telescopes, such as the Las Cumbres Observatory. 2. Ikechukwu Obi (CBSS, Nigeria) will undertake a research visit to the Jodrell Bank Centre for Astrophysics. Obi will be hosted by Robert Beswick and Anita Richards and will learn techniques on data reduction of eMERLIN data from the LEMMINGS galaxy survey. It is hoped that this visit will be the catalyst for future strategic connections between the UK and Nigeria in radio astronomy. 3. 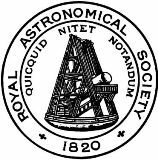 Katherine Blundell (Oxford University, UK) participated in the Astronomical Society of Southern Africa’s symposium in Cape Town in March 2018, and was hosted by Case Rijsdijk. The aim of the visit was to stimulate collaborations between professional and amateur astronomers in light of the large sky surveys that will come online in the next decade. Prof. Blundell also interacted with school girls in Cape Town, where one of the Global Jet Watch telescopes is located. 4. Mikako Matsuura (Cardiff University, UK) will lecture at an astronomy boot camp for Vietnamese postgraduate students in July 2018, while also attending an international conference in Quy Nhon. She is hosted by Prof. Pham Ngoc Diep, who is working to grow astronomy as a discipline within Vietnam. 5. Alemiye Mamo Yacob (ESSTI, Ethiopia), Edward Jurua (MUST, Uganda), Pheneas Nkundabakura (University of Rwanda), Ann Njeri Ngendo (University of Nairobi, Kenya), Sohan Jheeta (Science Communication Ltd), Bonaventure Okere (CBSS & WA-ROAD, Nigeria) and Prospery Simpemba (SA-ROAD) were awarded travel grants to represent Africa Europe collaborations in a special session at the European Week of Astronomy and Space Science in Liverpool, UK during April 2018. They were generously hosted by Dr Matt Darnley of Liverpool John Moore’s University. Existing collaborations ranged from science topics, such as research on the African VLBI to efforts in human capacity development in astronomy. 1. Dr Megan Argo, University of Central Lancashire, attended the Story of Space Festival in Goa, India during November 2017. She presented an art/science public event at the festival called “Cycle the Solar System” involving a bike tour, scientific talks about the solar system and art installations made by artist Nick Sayers along the tour. Dr Argo also presented workshops on both astronomy and communication during her stay and was hosted by Jaya Ramchandani, the co-founder of the festival. 2. Dr Amin Aminaei, University of Oxford, visited the Insitute for Research in Fundamental Sciences (IPM), Iran during December 2017 to present workshops, courses and a general lecture for the public on various aspects relating to both the methodology and science related to low frequency radio telescopes. The visit is hosted by Dr Habib Khosroshahi from IPM. During his visit, Dr Aminaei helped to organise a Radio Astronomy School on December 16-17, 2017 at IPM. It included both theory and practical sessions with the focus on the research and development in low frequency radio astronomy. 3. Professor Don Kurtz, University of Central Lancashire, will visit Mbarara University of Science & Technology (MUST) in Uganda during March 2018 to give lectures on astroseismology to undergraduate students and the general public. Together with Dr Edward Jurua from MUST, Prof. Kurtz will offer workshops for students on how to use their physics knowledge to answer questions relating to space science. 4. Dr Dimitris Stamatellos, University of Central Lancashire, will visit the International Center for Inter-disciplinary Science and Education (ICISE) in Vietnam in May 2018. The goal of the visit is to set up links with ICISE which will allow joint supervision of Vietnamese astronomy students in astronomy. The visit will also include lectures at both undergraduate level and for the public and is hosted by Dr Quang Nguyen Luong, an adjunct scientist working on massive stars formation at ICISE.